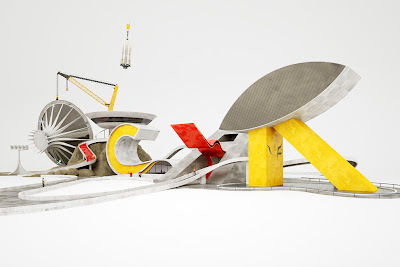 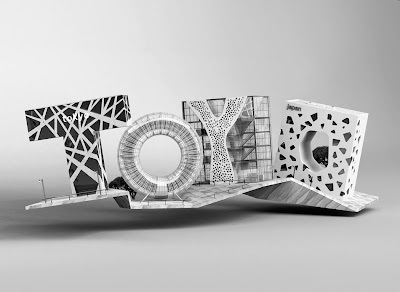 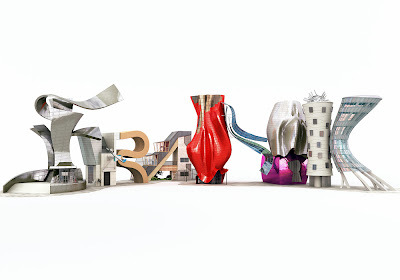 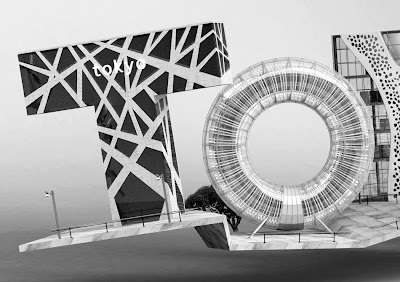 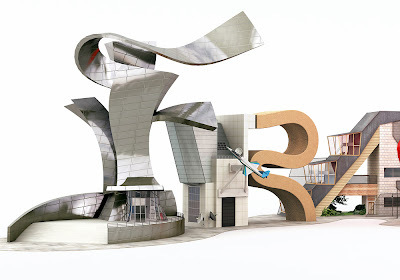 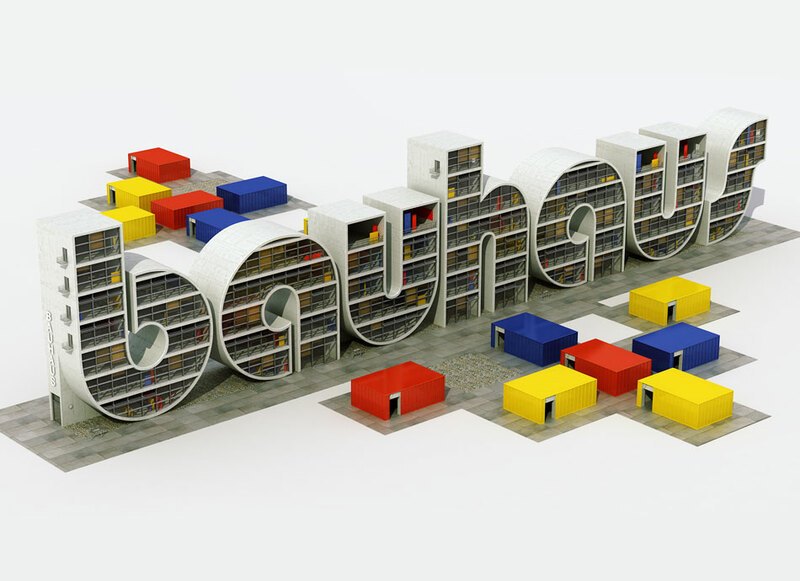 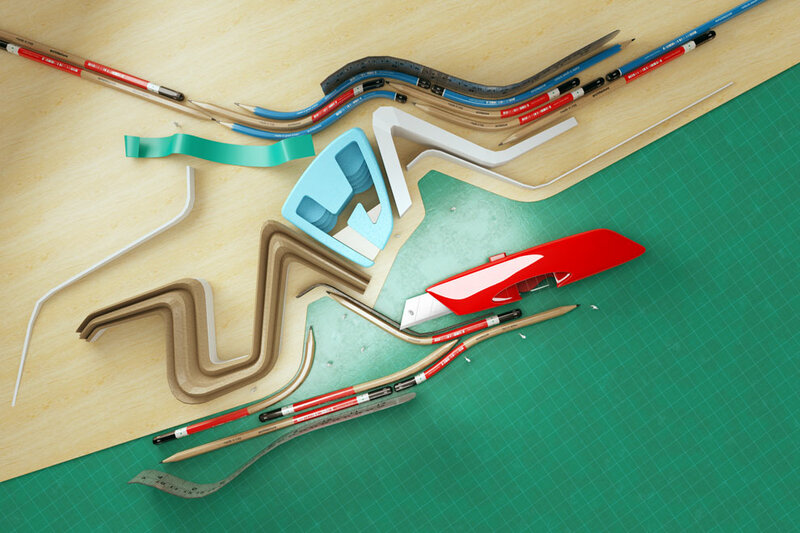 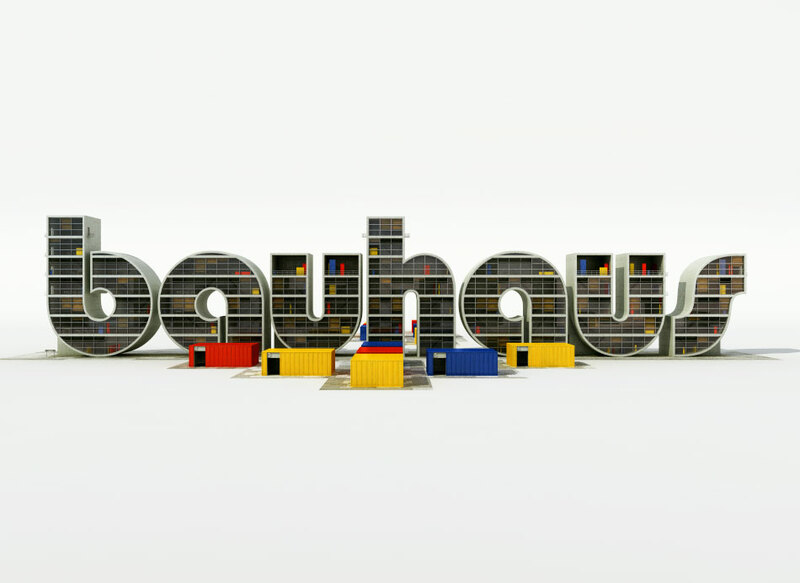 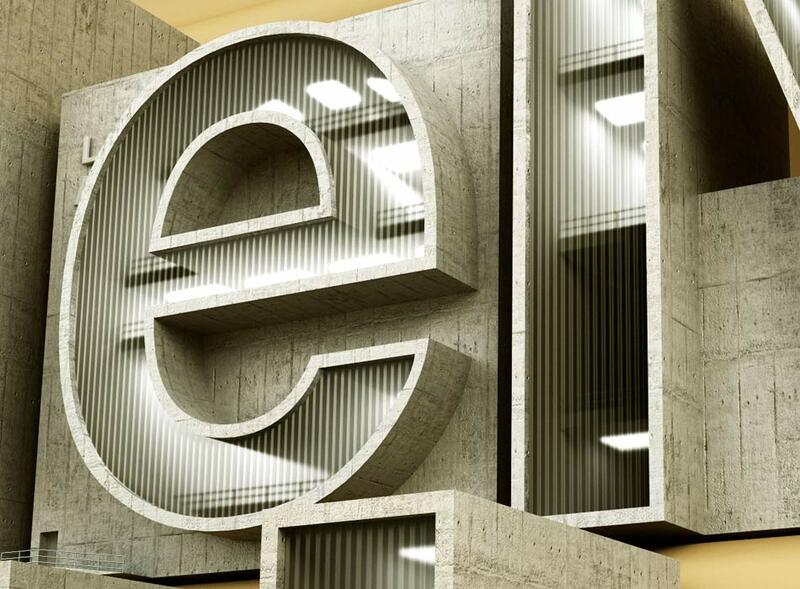 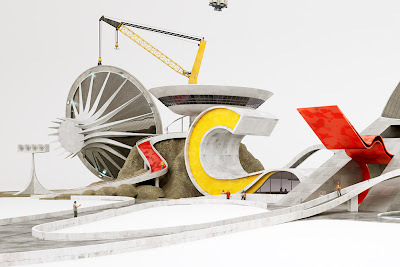 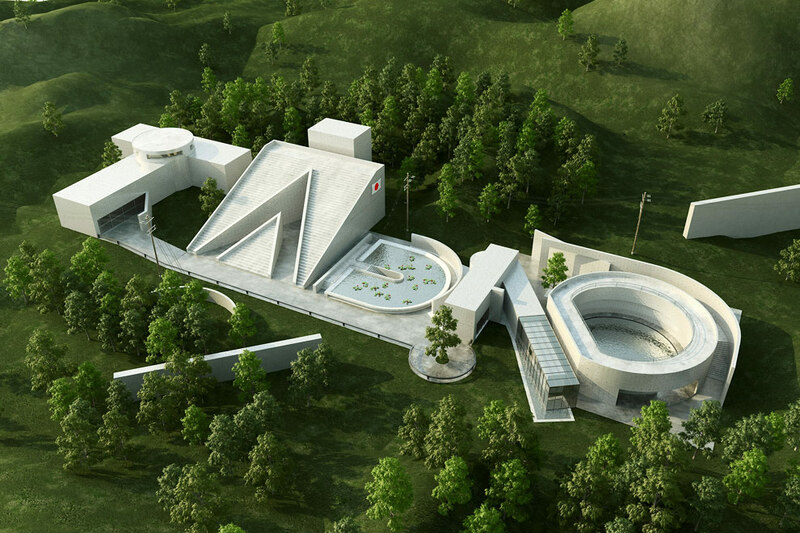 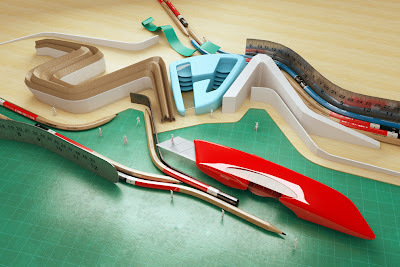 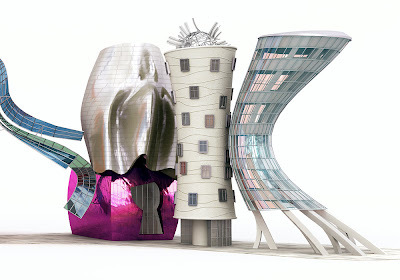 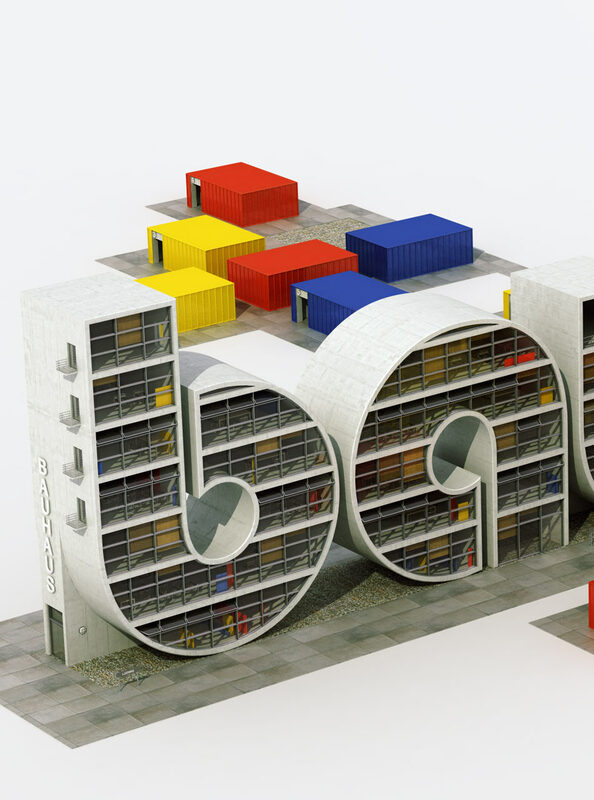 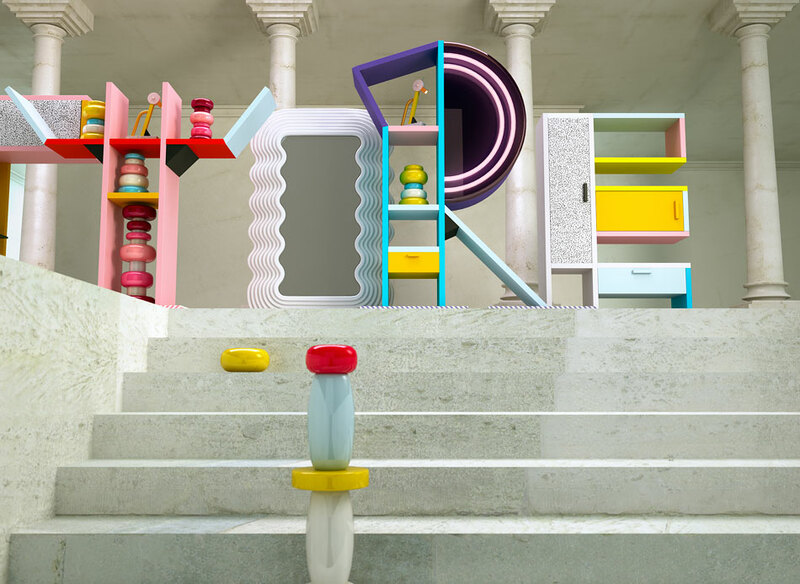 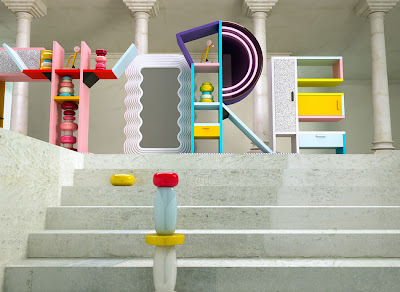 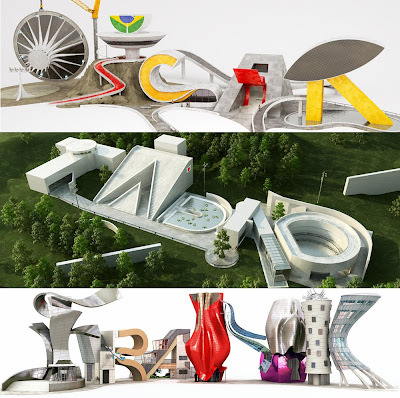 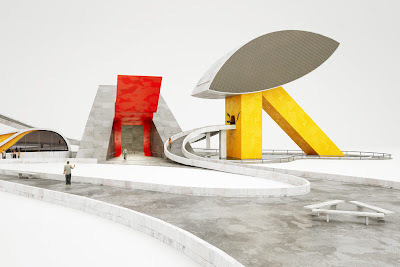 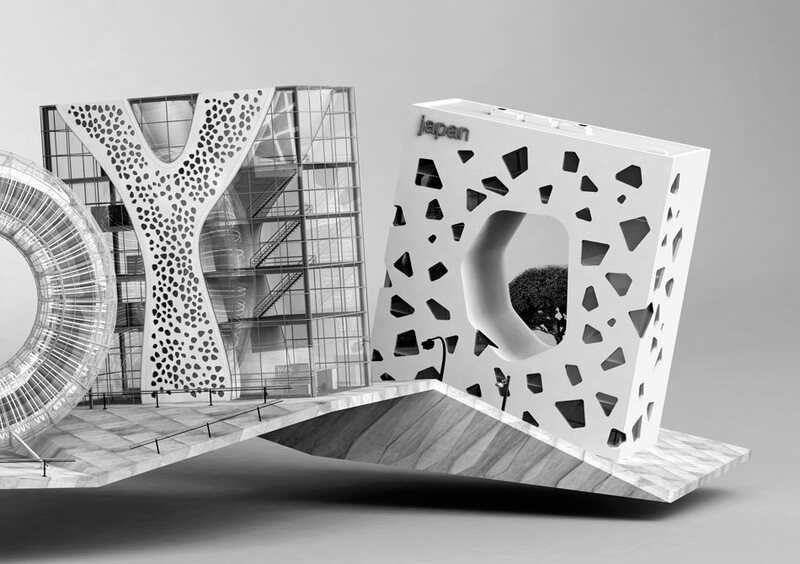 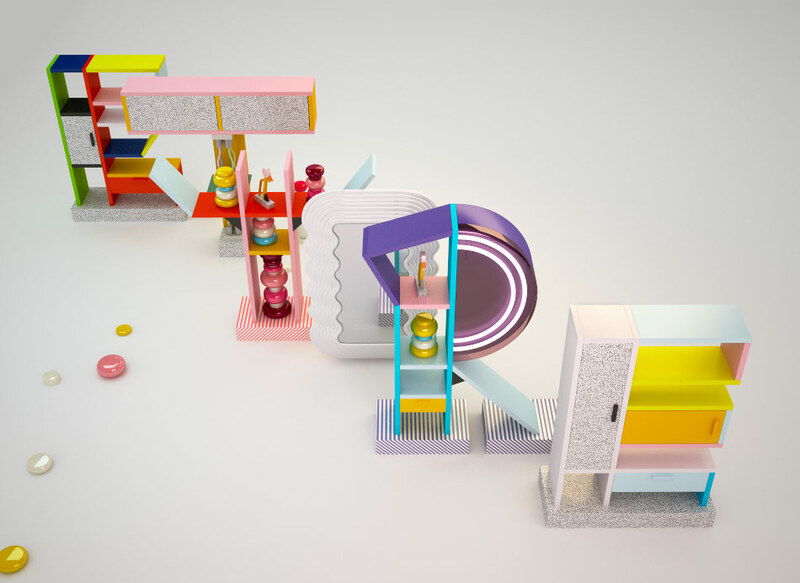 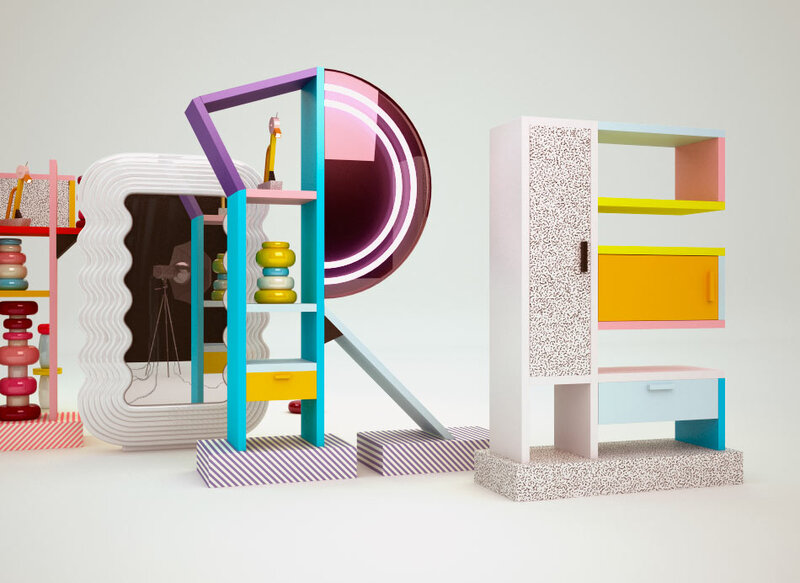 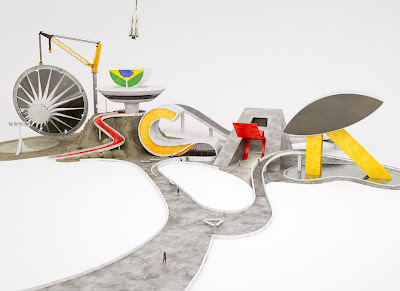 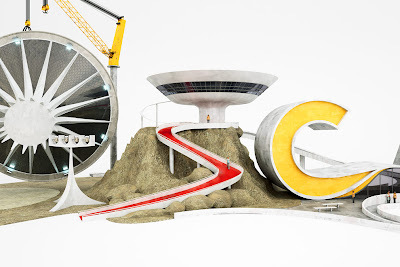 Designer Chris LaBrooy, inspired by his design heroes; architects Tadao Ando, Zaha Hadid, Toyo Ito, Oscar Niemeyer, Frank Gehry and designer Ettore Sottsass, has created 3D typography based on their works using computer rendering and illustration. 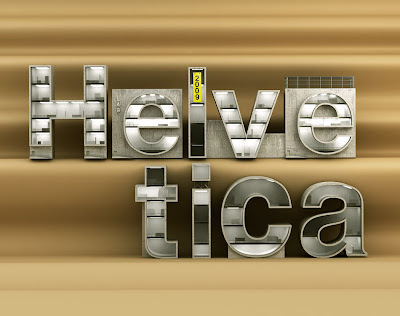 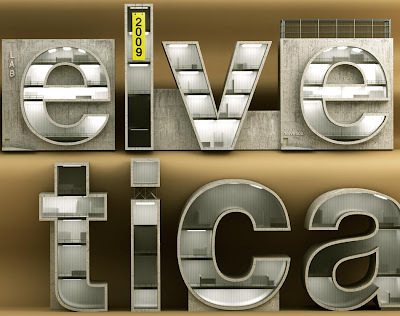 Typography design based on the architecture of Oscar Niemeyer. Chris picked his favourite Niemeyer buildings as a basis for developing these expressive letter forms. 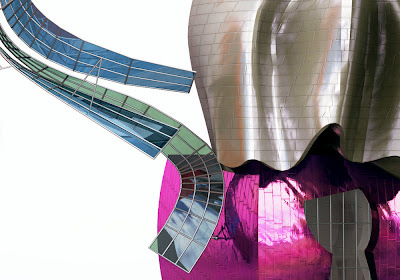 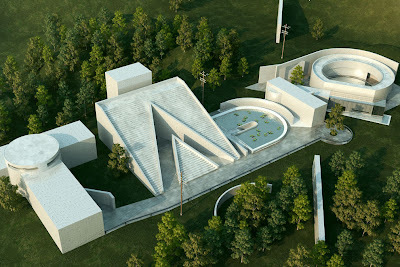 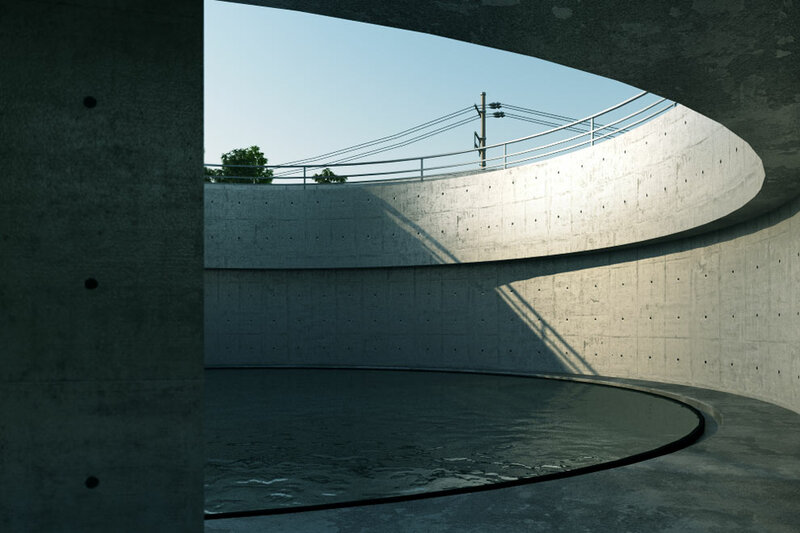 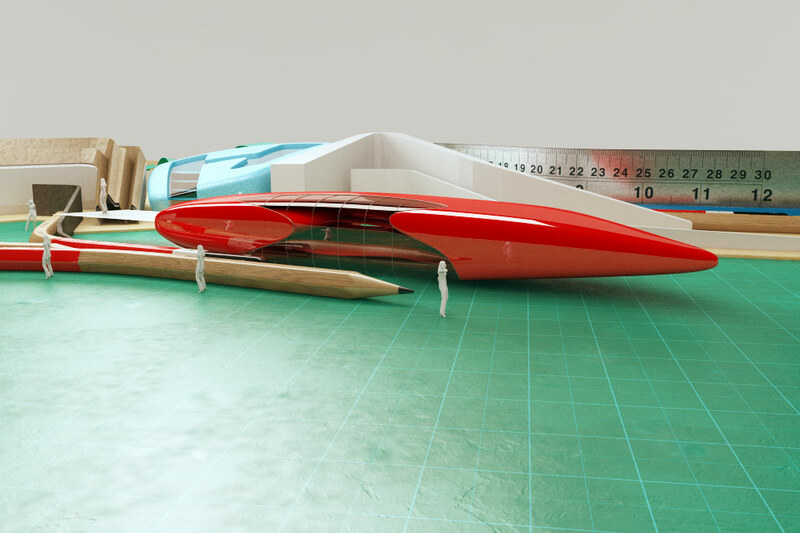 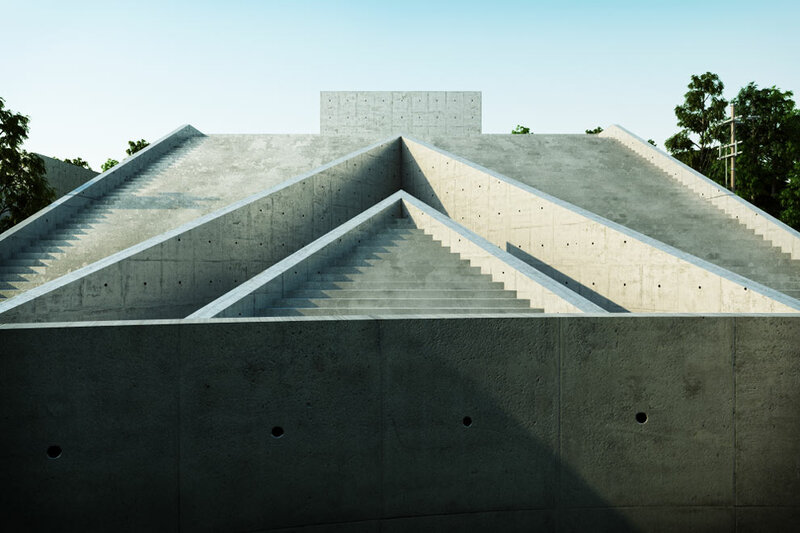 Included are : Cathedral of Brasília / Niterói Contemporary Art Museum / Ibirapuera Park theatre / Oscar Niemeyer Museum. Although not an architect. 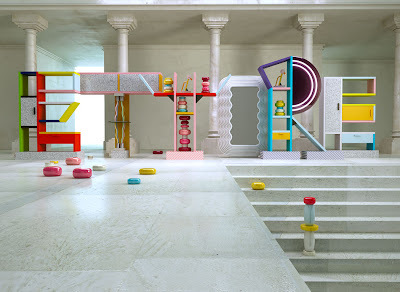 Ettore Sottsass' memphis style designs inspired Chris to create a font. See more of Chris LaBrooy's fabulous work here.